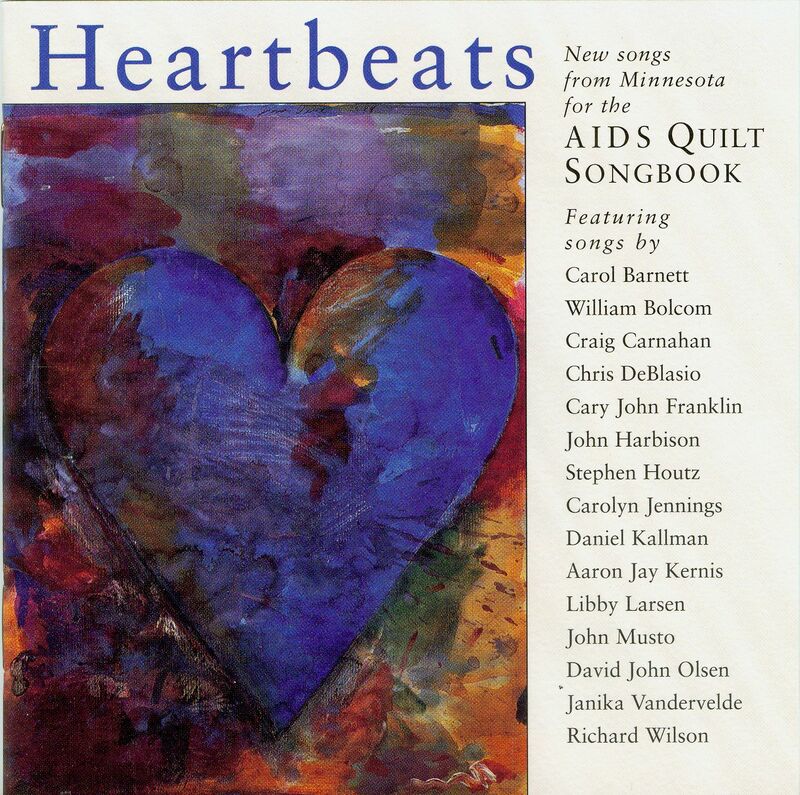 The AIDS Quilt Songbook was conceived by the late baritone Will Parker as a continually growing collections of art songs articulating the range of emotions occasioned by the impact of the AIDS epidemic on society. This recording includes: premiére recordings of six new songs for soprano voice commissioned by Parker for his last public appearance at the Walker Art Center in Minneapolis on December 1, 1992; premiére recordings of three songs for baritone voice from Parker's original collection not included on his earlier premiere Mundi compact disc; two new songs contributed to the Songbook by Aaron Jay Kernis and Cary John Franklin; alternative performances of previously recorded songs by John Harbison, William Bolcom, and Chris Deblasio; and a live recording of John Musto's songHeartbeats. from Parker's own intensely moving final public performance. "To date, there have been two releases of music from the AIDS-Quilt Songbook, a compilation conceived by the later baritone William Parker. The first, on Harmonia Mundi, takes the crown, thanks to Parker's greater involvement, although the second, on innova, is actually a more varied recording, per se. Both remain urgently recommended, for all kinds of reasons . . . [Heartbeats] constitutes a gripping and powerful musical and emotional experience." "... repeated listenings reveal more and more of the pieces' beauty.... The power of this material and, ultimately, the CD itself is similar to the effect of the AIDS Memorial Quilt: [the] remembrance of the joy of life, of the people who come into our lives and then leave, and the release of sadness and pain."